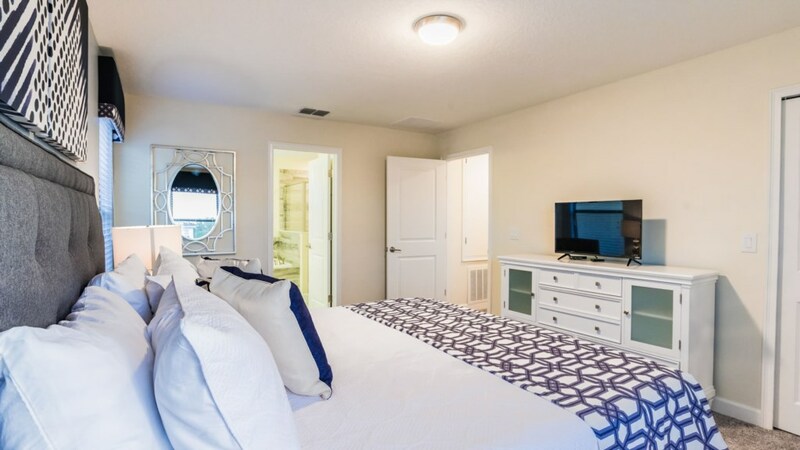 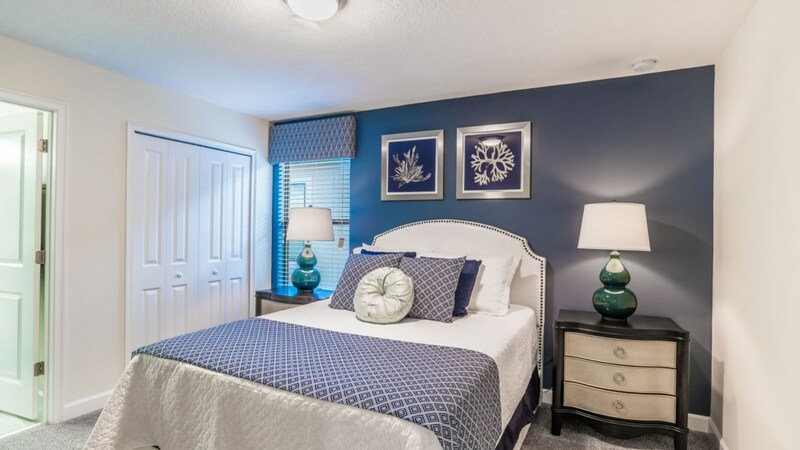 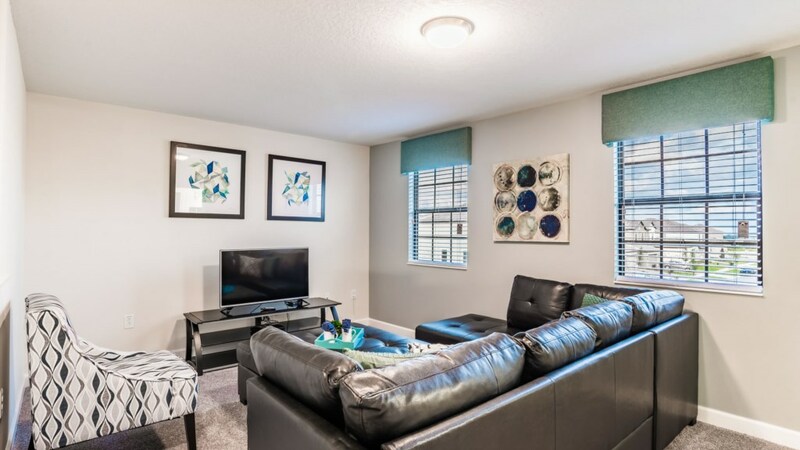 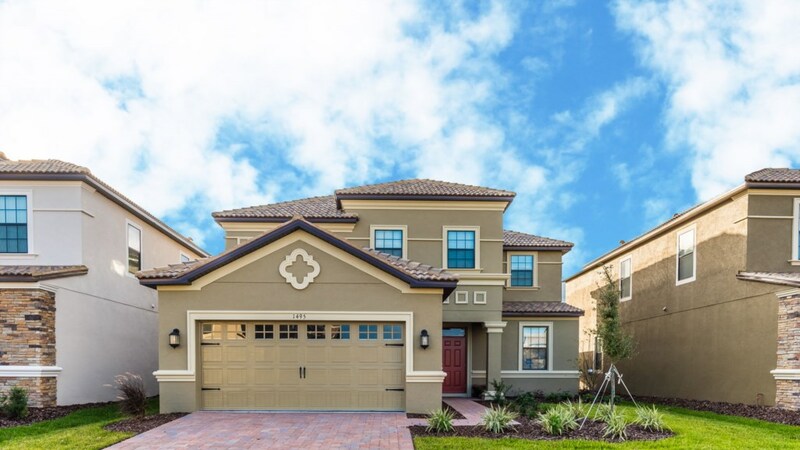 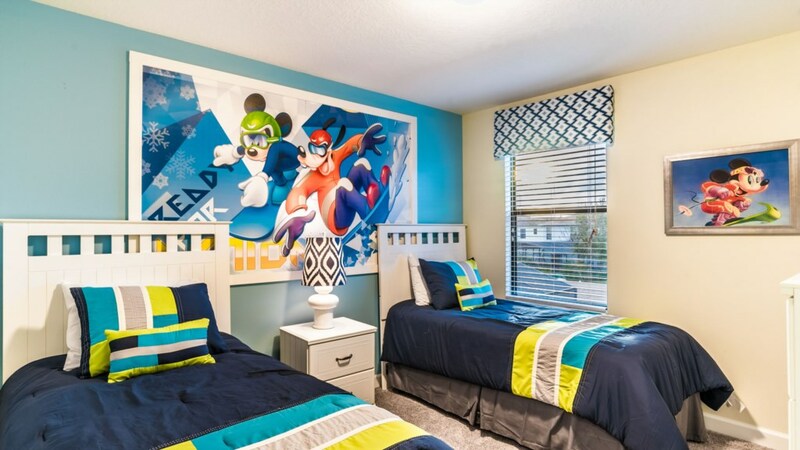 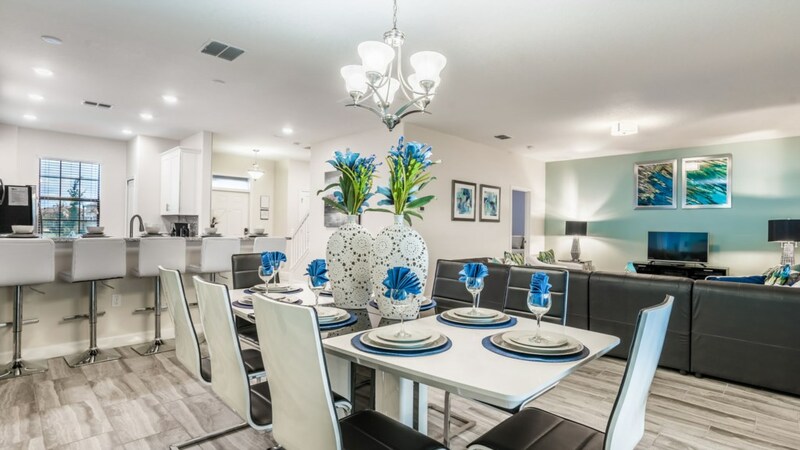 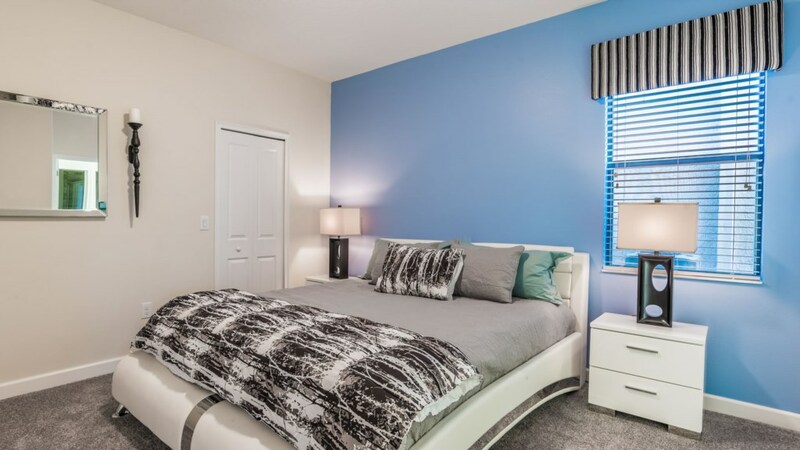 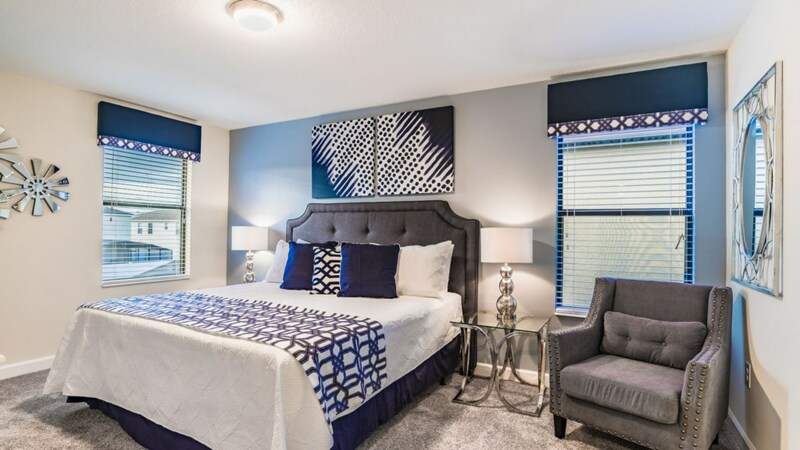 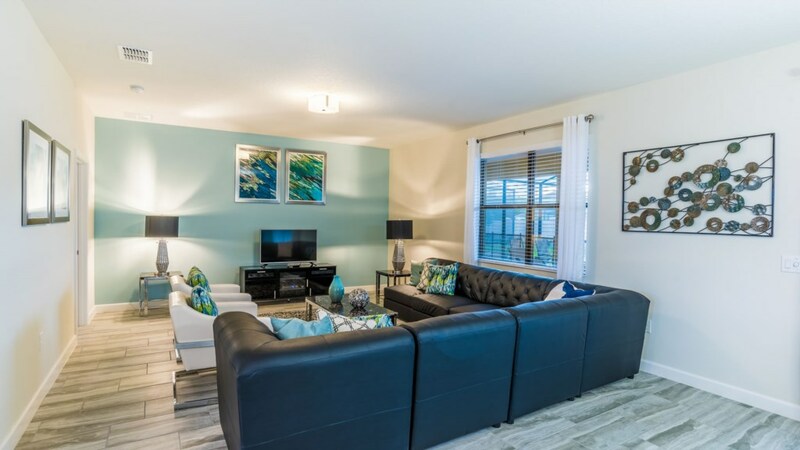 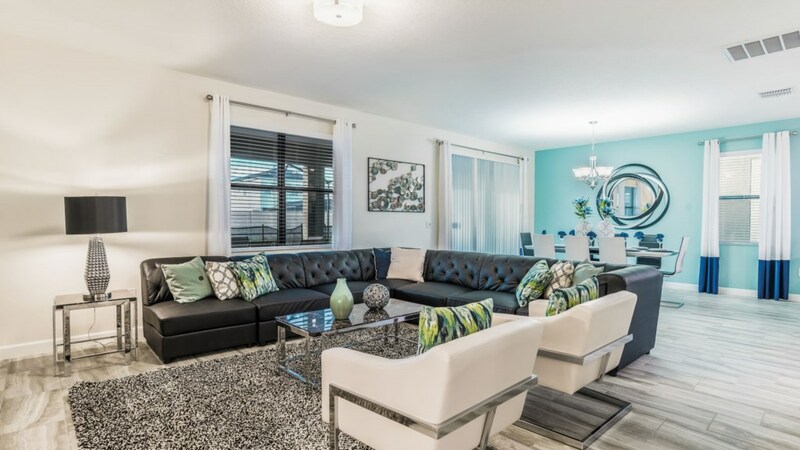 This bright and contemporary 5 bedroom, 4.5 bathroom vacation rental is located in ChampionsGate, the Orlando/Kissimmee resort community featuring the world-class Oasis clubhouse. 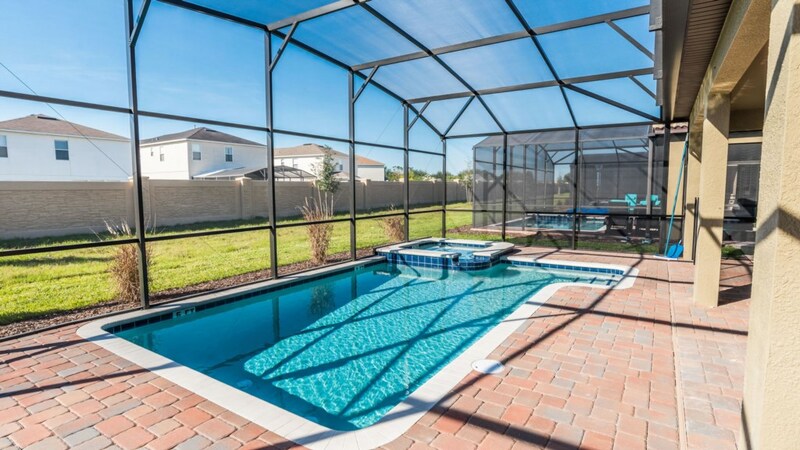 This home has everything you desire for a perfect vacation and has achieved our Grand Collection status. 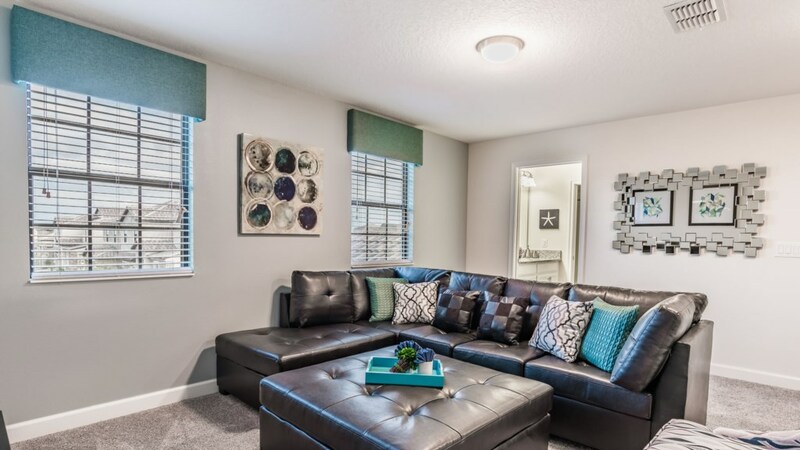 To begin with, the home is professionally decorated and includes a leather furniture package. 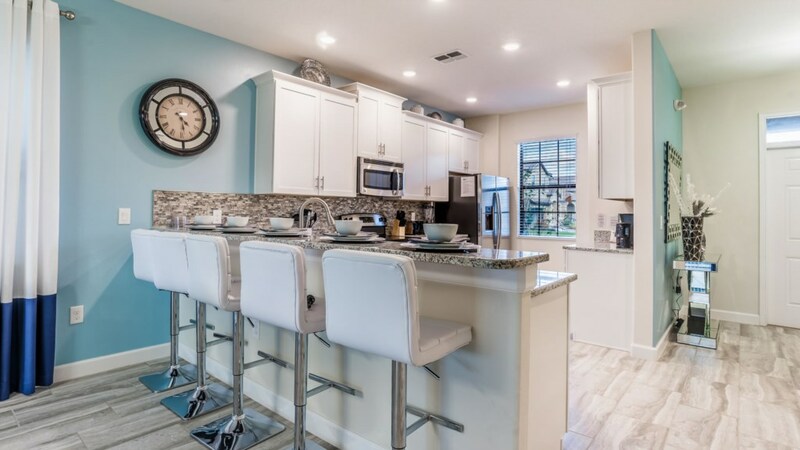 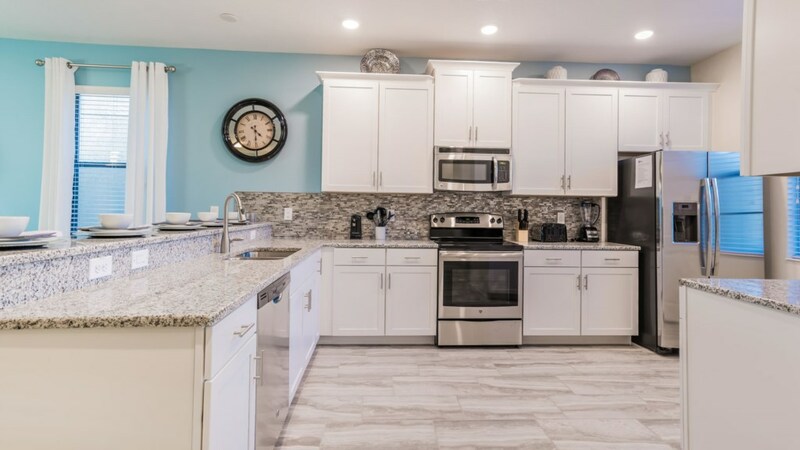 When choosing to dine in, the fully furnished kitchen will meet all your culinary needs and has seating at the kitchen bar. 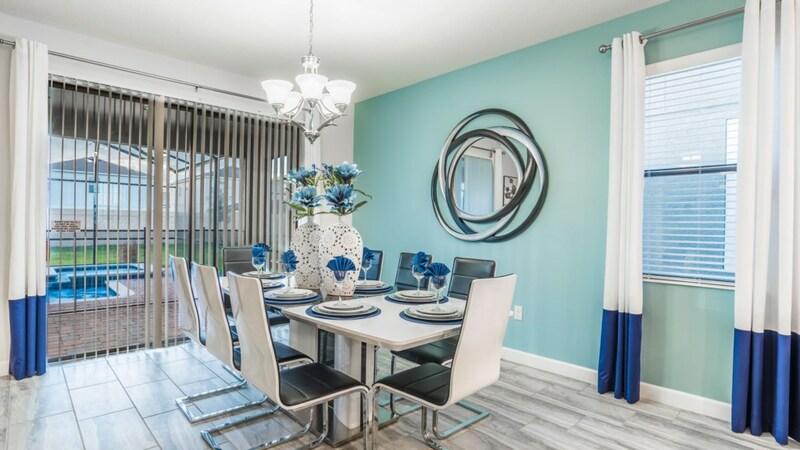 The large dining room table enables family meal times together. 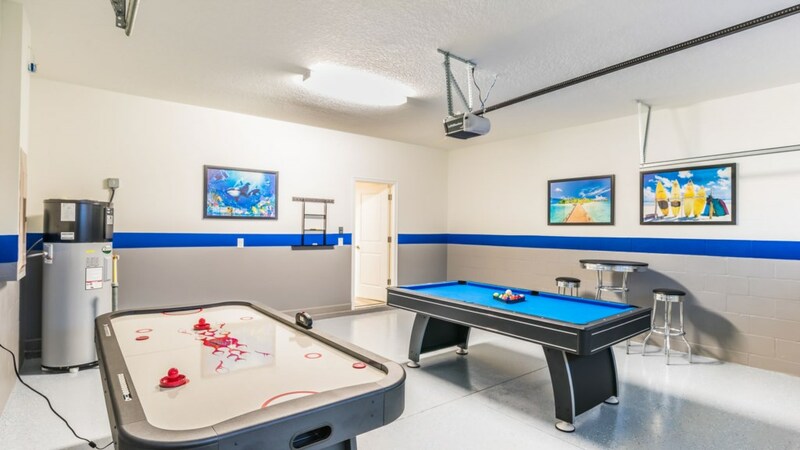 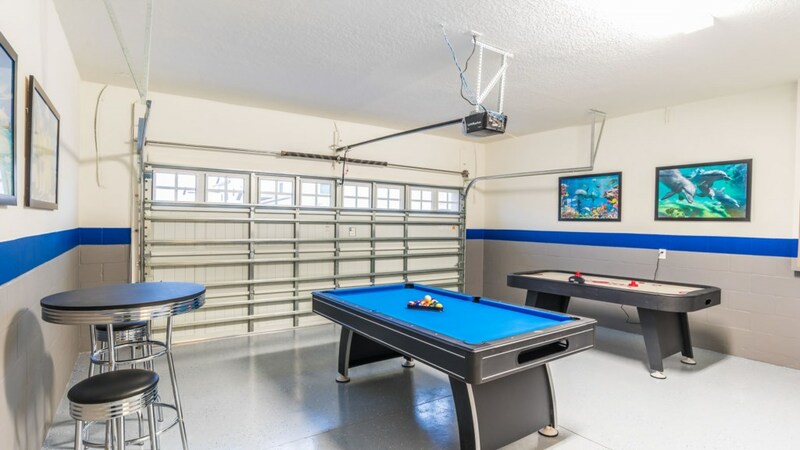 The game room is perfect for spending quality time playing billiards and air hockey. 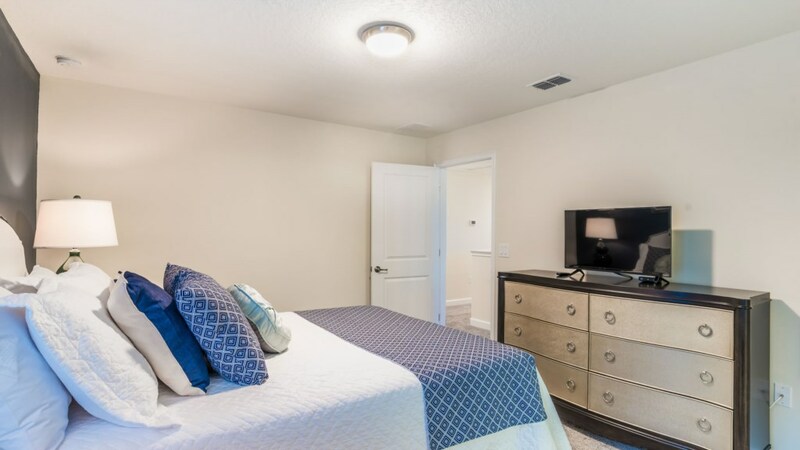 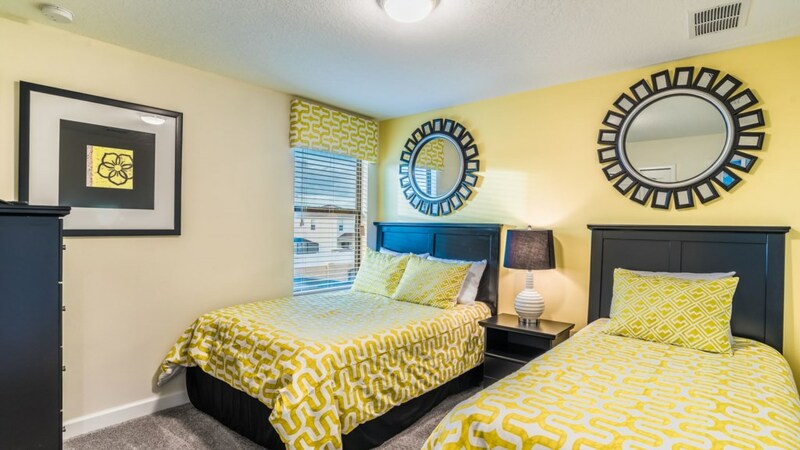 Each bedroom has its own flat screen TV and there’s ample bathrooms throughout so everyone has privacy and space. 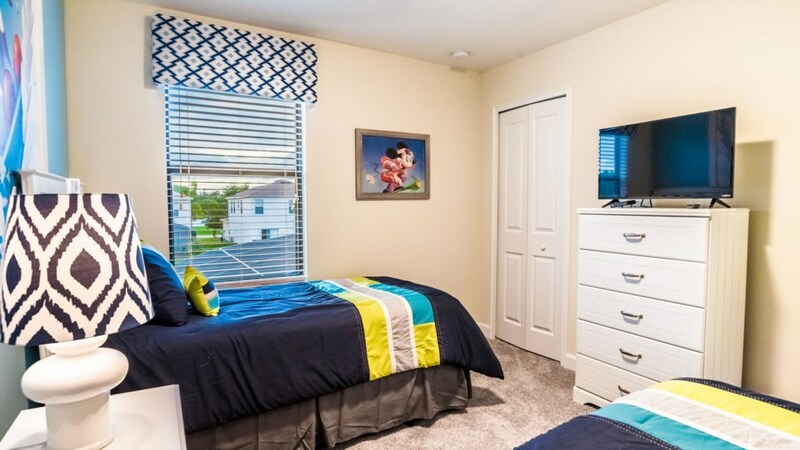 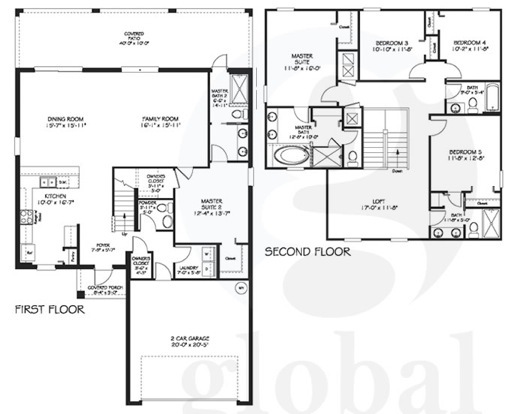 The bedroom configurations feature 2 king bedrooms, 1 queen bedroom, 1 twin and full bedroom and 1 bedroom with 2 twin beds. 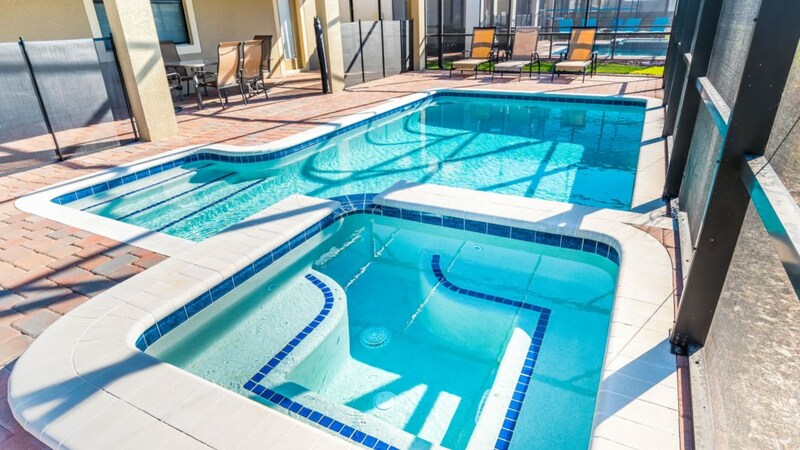 The pool and lanai is spectacular and features a relaxing spa and refreshing pool, plenty of sun loungers and a large table and chairs for poolside dining. 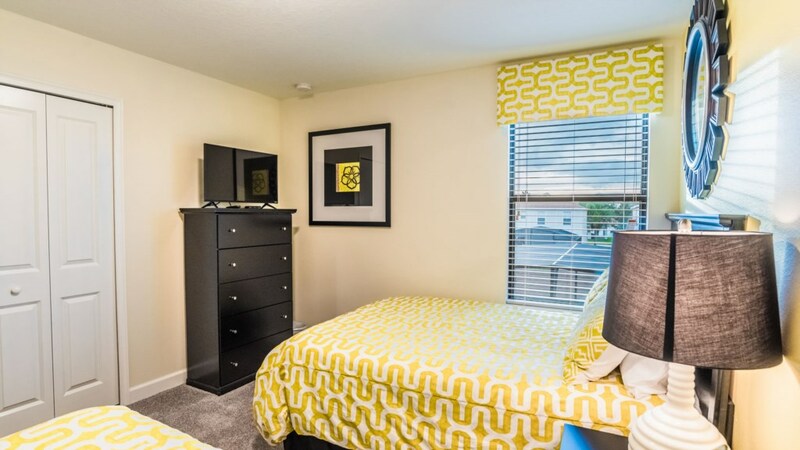 A washer and dryer is available for your convenience. 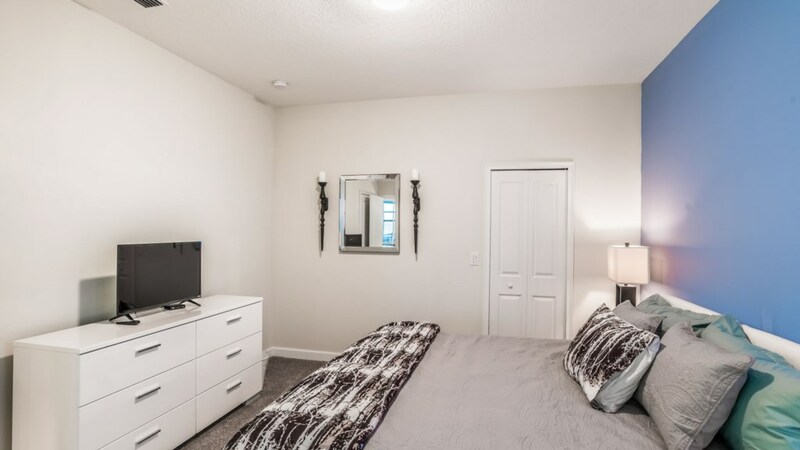 Includes free WIFI as well.